Chri stmas. The traditional Twelve Days of Christmas begins with Christmas Eve on the evening of December 24 and continues until the feast of Epiphany. The actual Christmas season continues until the Feast of the Baptism of Christ, which in many Western liturgical calendars is celebrated on the Sunday after January 6th. So given that we are (at least liturgically) still within the Christmas season, I thought it would be nice to highlight some of my favorite children’s books dealing with the visit of the Magi to the Christ child. Probably no other aspect of Christ’s birth has gotten more attention than the visit of the Magi to the infant King. While many of our fictionalized notions don’t bear much resemblance to the actual story, there are a few children’s books that I think really enhance the story in ways that reflects back upon the truth of how marvelous, transcendent, and numinous th e story of this visit is. 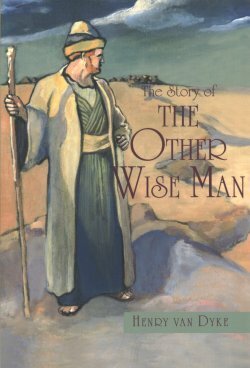 The Other Wise Man by Henry Van Dyke is a fictionalized tale based on the Magi’s visit. In this case an additional Magi is seeking the infant child in order to bring his gifts as well. But along the way, the Magi encounters unfortunate souls that need his material help. Despite being pressed for time and wanting to continue his journey, this Wise Man sacrifices his own wants to the needs of others. The tale by Van Dyke has unfortunately been adapted and rewritten by a number of authors. Be sure to get the original and curl up with a tale that evokes the meaning of a what constitutes a truly Wise Man. 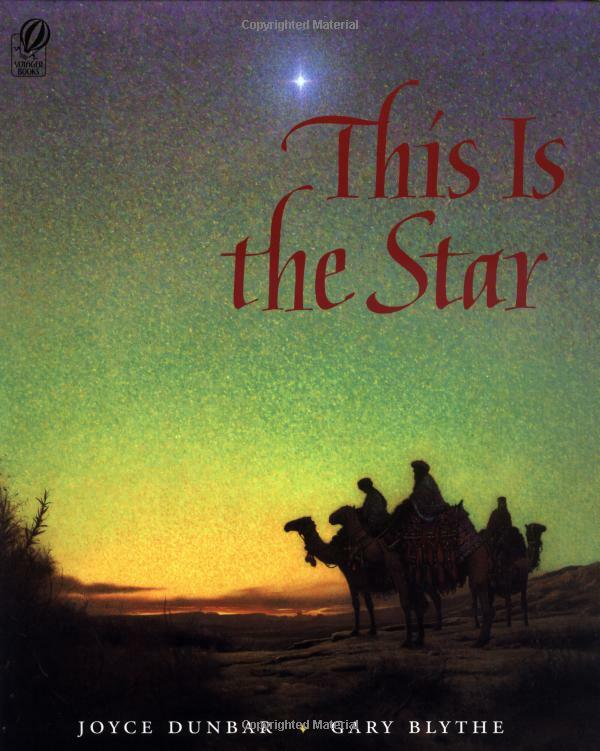 This is the Star by Joyce Dunbar, and Song of the Camels by Elizabeth Coatsworth are both simple poems that describe the events surrounding the Star of Bethlehem using simple text paired with beautiful illustrations. 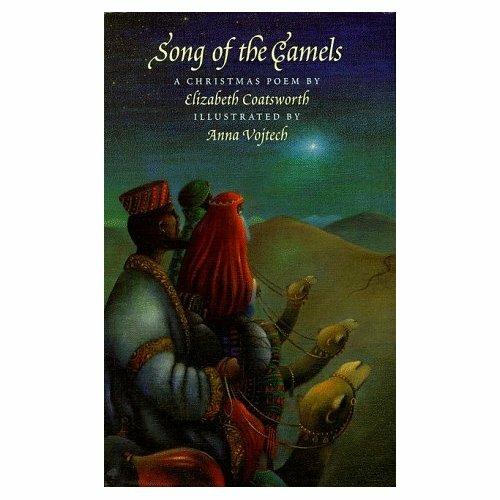 The former uses the focus of the star to build the action in lovely rhyming verse, while the latter uses the perspective of the camels bearing the Wise Men to show another aspect of this transcendent night. I’ve saved my favorite for last. 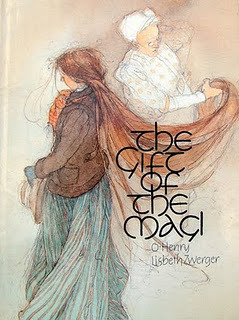 Lizbeth Zwerger took O’Henry’s classic tale, The Gift of the Magi, to an entirely new level with her tender watercolors and keenly sensitive eye. The story involves a very poor but happy young couple on their first Christmas as husband and wife. Living in a tenement house at the turn of the century, they each long to get one perfect Christmas gift to show their love for each other. Their sacrificial gifts illuminate and reflect the profound lesson of the ultimate divine gift–the gift which costs that which is most dear. No illustrator before Zwerger captured the pathos of this tale so evocatively and so completely in sink with the author’s exquisite tale. Do add this one to your family library. It will likely become a treasured Christmas (and perhaps Epiphany!) tradition. 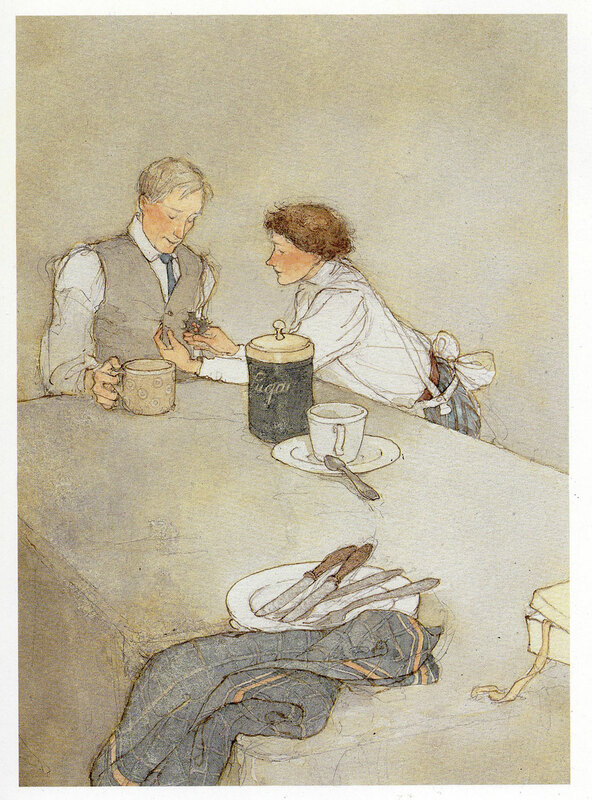 I’ll close with O’Henry’s profoundly simple and childlike conclusion to this marvelous tale. “The magi, as you know were wise men–wonderfully wise men–who brought gifts to the babe in the manger. They invented the art of giving Christmas presents . . . and here I have lamely related to you the uneventful chronicle of two foolish children in a flat who most unwisely sacrificed for each other the greatest treasures of their house. But in a last word to the wise of these days let it be said that of all who give gifts these two were the wisest. Of all who give and receive gifts, such as they are wisest. Everywhere they are wisest. They are the magi. Love the recommendations! Will add them to my “to buy” list. Thanks! Thank you, Mel and Happy New Year and Happy Epiphany! Enjoyed this post! I love the story Gift of the Magi…will look Zwerger’s. 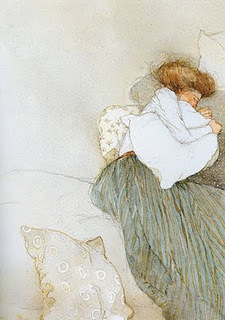 These watercolours are to die for..Amazing, beautiful vision. Such good work from Lisbeth Zwerger. There’s a slightly Japanese feel to them too. So nice to find out classic stories have been illustrated in such a refreshing way. Nice point about the Japanese woodcut feel. I agree! Thanks for commenting!